This week, BLO’s Education team has been hard at work, facilitating a professional development workshop for educators. We work with music teachers, classroom teachers, community educators, and teaching artists throughout the school year on opera creation projects large and small, and this yearly summer workshop is our opportunity to train teachers in our curriculum, give them tools and techniques to use throughout the year, and collaborate on a creative project that both excites and educates. Read on for a daily update from the workshop! We are so excited to be here, at The Boston Conservatory, for Advanced Opera Creation: A Professional Development Intensive for Educators! 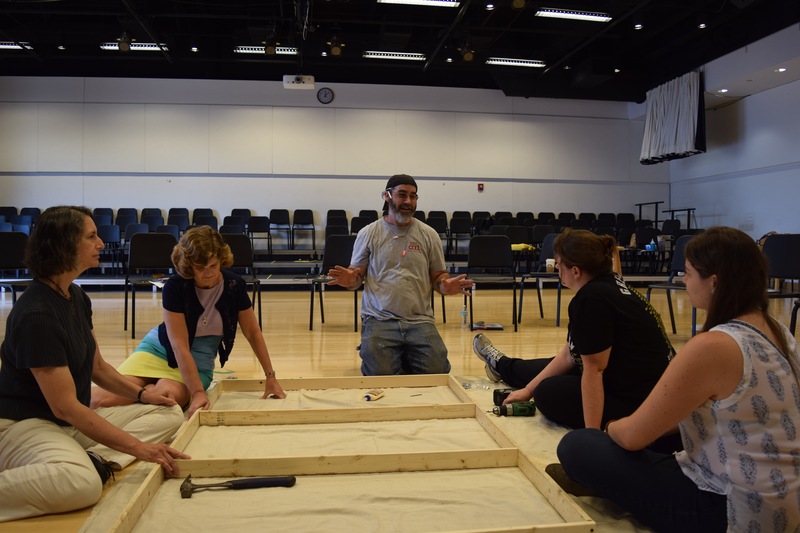 This year, we are working with current partner teachers and educators to deepen their skills and practice, especially in areas of composition and technical theater. 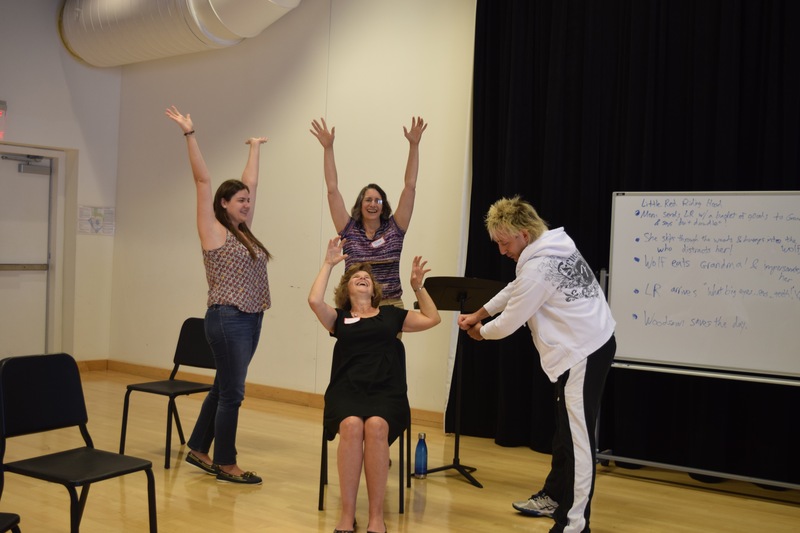 On Day 1, our two Master Teaching Artists – Joel Esher and Priscilla Sanville – met our educator-participants and led them through a series of warm-ups and theater games (anybody want to play Opera Samurai!?) 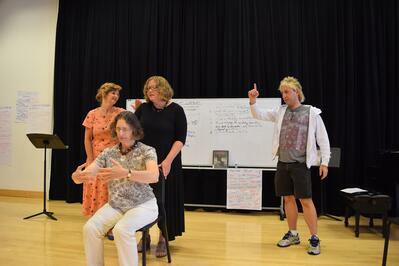 , then guided the group through a process of using fairy tale tableaux to create melody seeds and entire scenes. But the day wasn’t over yet! This year, we are also partnering with VOICES Boston to give our educators a practicum experience as part of the workshop. After lunch, several VOICES Boston students joined us and educators were able to step into the role of leaders, teaching the kids the same games and composition process that they had learned that morning. 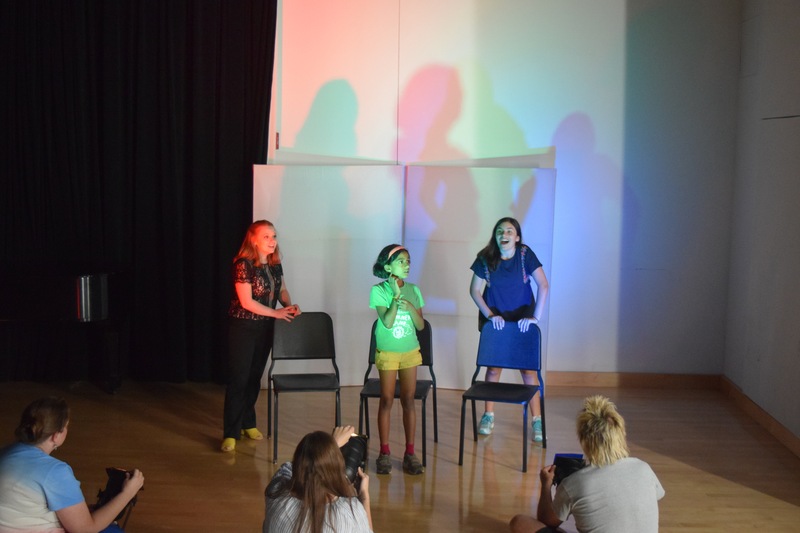 The students and teachers all collaborated on creating scenes and music based on the story of Cinderella. It was a busy and fantastic first day! Everyone came back refreshed and ready to go in the morning. Joel and Priscilla took things to the next level by introducing our source material for the week, The Mysteries of Harris Burdick. The fascinating pictures and titles in this book served as the inspiration throughout the day as we explored characters and turning repeated statements into one-line melodies and mini-scenes! Day 3 was all about exploding our one-line melodies into fuller songs. 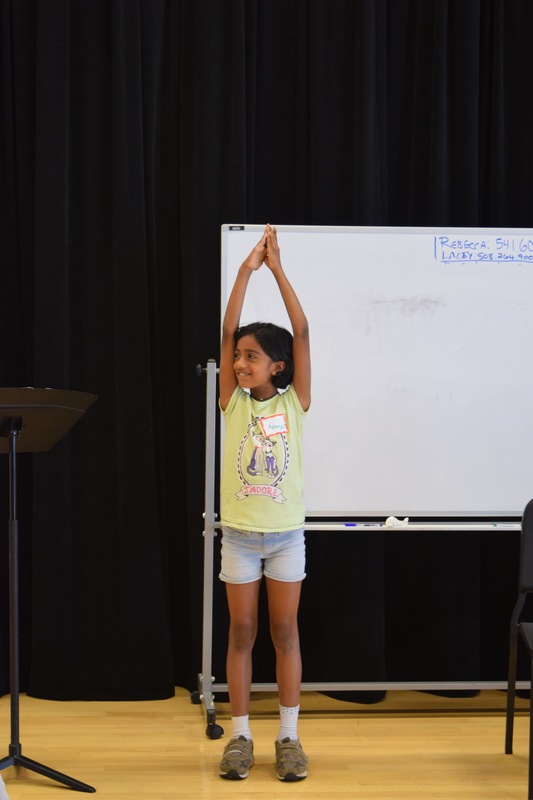 Using musical tools such as rhythm, speed, pitch, and articulation, we learned how to make decisions about what works best for our individual characters and how to build our melodies out into longer, in-depth musical pieces – so by the end, we each had created a full aria for our character. Today, we pivoted to technical theater and the visual world of our operatic creation. In the morning, guest artist Jaclyn Poeschl, a photographer and cinematographer, led us through exercises designed to connect the themes of our story with visual language. Next, scenic carpenter Raymond Reyes showed us how to build a Hollywood flat – a process we repeated in the afternoon with our student participants. Go power tools! Our final day! We were joined by Dan Jentzen, lighting designer and educator, who led a fascinating STEAM workshop on lighting elements and how they can help us tell our story – as well as build science and engineering skills and vocabulary. In the afternoon, our students incorporated lighting into their scene as well, and then – practice, practice, practice! Finally, in front of a few friends and audience members, we did our final run-through of all the pieces of our creation. A special thanks to the partner educators who devoted an entire week of their summer to our Intensive in order to learn and to deepen their teaching practice, as well as the youth from VOICES Boston who joined us each afternoon to play and create. We are honored to work with dedicated, artistic, engaged teachers and students throughout the year!